1. Parents are requested to see that their sons/daughters are regular and punctual in attendance at school/college. 2. In the event of absence for a day or two, they are required to write a letter to the Headmaster or Headmistress on the son's/daughter's return to school, explaining the reason for the absence. 3.If the duration of absence is to be more than two days, a letter should be sent at once, supported by a medical certificate in case of sickness. 4. Attending weddings and other functions out of station during School time breaks into routine and School discipline. Parents are asked most earnestly not to take their son/daughter with them to attend these functions. Punctuality and discipline are fundamental ideals in the running of a school, ideals which we endeavor to inculcate in our children. Late Return after long holidays. To discourage the growing tendency of late arrival, a fine of Rs. 200/- per day will be levied for late arrival at school after a long holiday. Sickness alone may exempt a boy from the fine. Boys returning to school late may have their names struck off the school rolls. No Mumbai Leave· In the interest of discipline and study, boys may not go to Mumbai during the term. Parents are requested most earnestly not to make opportunities for boys to break this rule except during the long holidays mentioned. Should it become absolutely necessary for boys to visit Mumbai, parents must take all the arrangements for the travel back and forth; money cannot be advanced or loaned for this purpose, and neither the school nor the staff can be held responsible for the boy's journey in any way. In the interest of boys and discipline, parents are asked not to apply for Mumbai Leave during mid-term. Boys are prepared for examinations conducted by the Council for the Indian School Certificate Examinations, New Delhi. The Council is recognized by both houses of Parliament and has the assent of the President Of India. 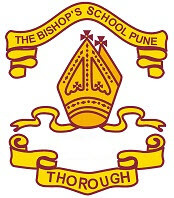 The Bishop's School may be said to have as its date of foundation the 19th April'1864 . On this day the Quarter Master General of the Bombay Army, writing to the Secretary Govt. Military Department.